Catch Questions 7th series, iOS App Remote Video Recorder! 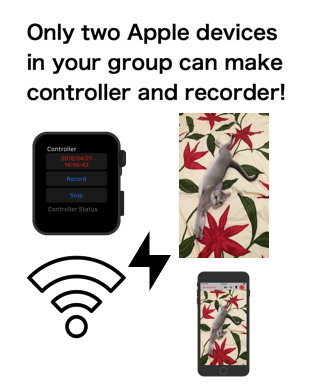 You can experience the remote recording with the combination of two Apple devices such as iPhone and iPad, or iPhone and Apple Watch. Here, let me show you the difficult combination of iPad and Apple Watch on purpose. 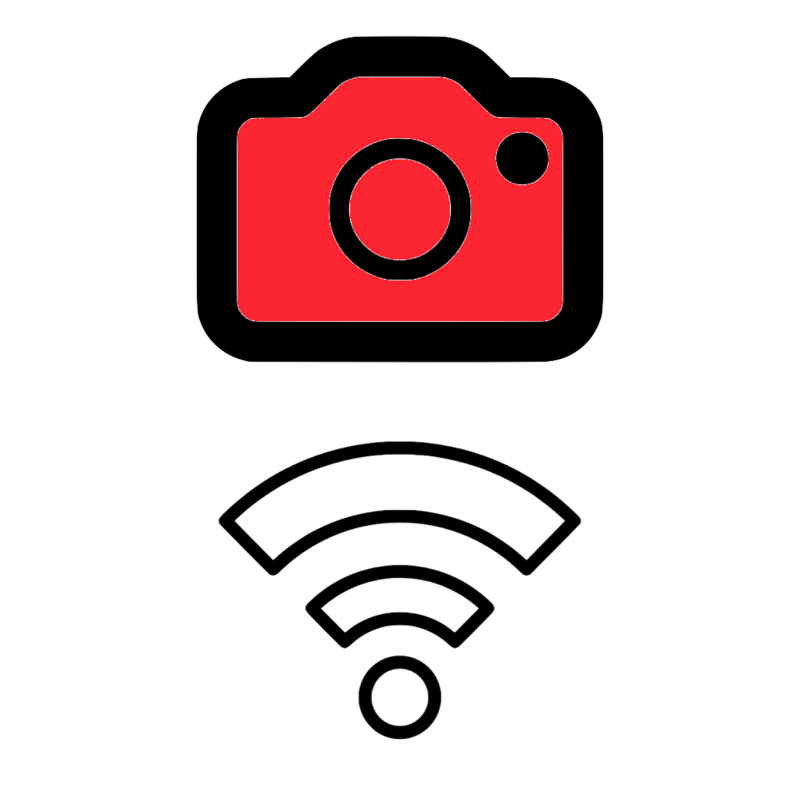 Without bluetooth, you can send the signal remotely via internet connection so you can control the recording from the other side of the earth. 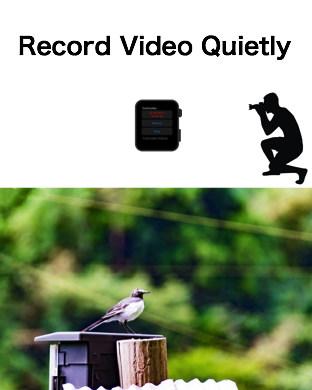 Bird watching is a good example for the purpose of this app. Some animals are afraid of people so you may lose your best shot right after you point your camera at them. 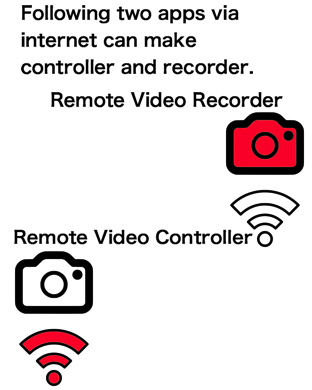 In this case, you can start recording remotely apart from the recorder. You can also stop recording remotely so often that you can save the storage of your iPhone. In addition, you can quietly start recording without the signal sound. It will not surprise any animals. For the long recording, power saving mode is available. It will cut off the screen light while recording. Now, let me show you how it looks. At first, you need to set ID and Keyword. For ID, only English and number is available. Any letters would be fine so press “Auto” button. In this case, current date will be your ID. Next, you also need to create keyword. Only English or number is available for keyword, too. You can create it with “Auto” button but in this case, I would recommend you to make it as a simple one so that you can easily set up later. Your friend’s iPhone can also be controlled easily. If you are not English speaker, make a force touch here and call scribble by changing the language into English. You can draw your original keyword with it. Let me make my keyword as “Kwd” for this example. For the recorder of the other device, set the same keyword at the upper left. You have to accept the access to video, microphone and camera roll beforehand. Let’s start recording manually. The circle red button was changed into square one and recording timer was started. To stop the recording, press the red button again. Recording file will be saved at your camera roll which is in Picture app. After you confirm how it works, try to press the antenna button. Then, you can see it changes into red. In this status, the app can receive your remote signal. Now, it’s time your Apple Watch could control your iPad remotely. 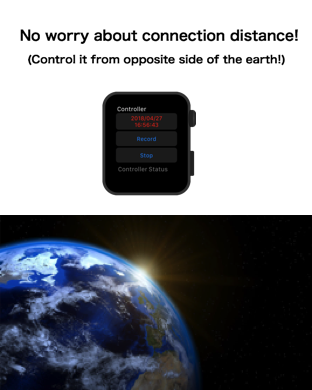 From Apple Watch, tap the button of “Record”. You can now see the red button is changed and the timer starts. On the other hand, tap the button of “Stop”. You can stop recording remotely. For this function, internet connection is necessary. Finally, let me show you how the power saving mode works. 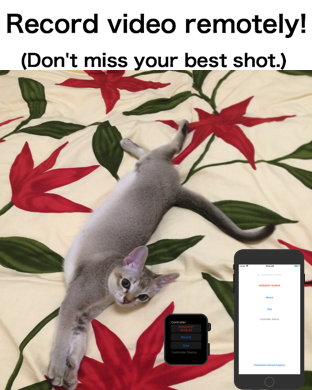 Just tap the screen of recorder. The screen changes in black. With this dark screen, you can also start recording. Without the light energy, the recorder could record video for a longer time. To quit power saving mode, tap the screen again. Before you download this app, you have to agree the following issues. * This App forbid illegal secret photography. * To record human, get the permission beforehand. * You have to take full responsibility for your recording environment.